Natural Language Processing is a complicated area. Computers are really good at crunching numbers but not so much with text. We have to specifically instruct them on how to handle text. For Text analytics to be carried out we have to represent text in a form the computers can understand i.e. in the form of numbers. The method for doing this varies. A good method is one that captures as much of the meaning of the text as possible. After this is done, analysis can be carried out on these numbers in the same way as dealing with numbers. 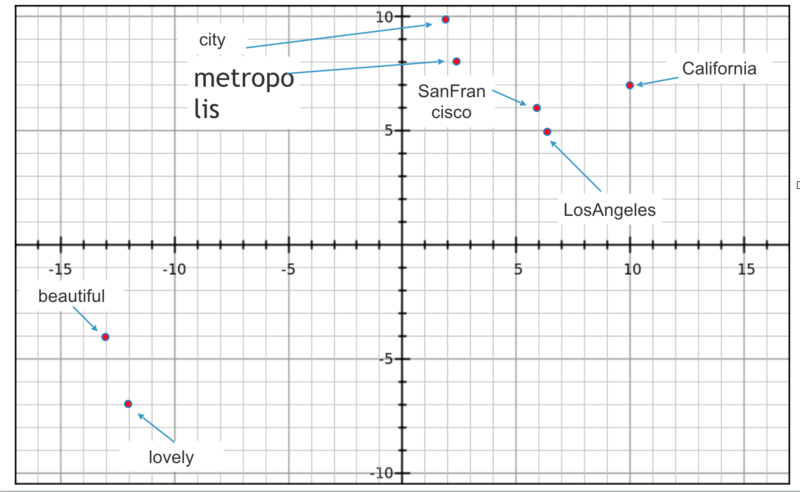 “SanFrancisco”, “is”, “a”, “city”, “LosAngeles” ,”lovely”, “California”, “metropolis”. In Bag of Words model each word is assigned a value based on number of times it occurs in the text. It does not capture the order of words in the original text. It does not capture the context of the text. It does not capture about the meanings of the words. 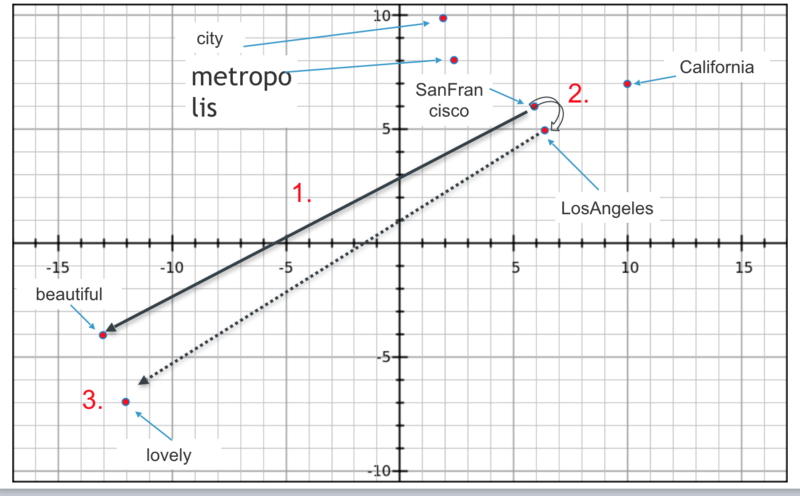 What we are telling the computer using this approach is city, lovely, metropolis are all equal. Even though city and metropolis are equivalent and lovely is something very different. Prof Yoshua Bengio started this work in 2008. A language model is an algorithm for capturing the salient statistical characteristics of the distribution of sequences of words in a natural language. A neural language model learn distributed representations on words to reduce the impact of the curse of dimensionality. Curse of dimensionality is when number of input variable grows the number of required examples to train a model grows exponentially. 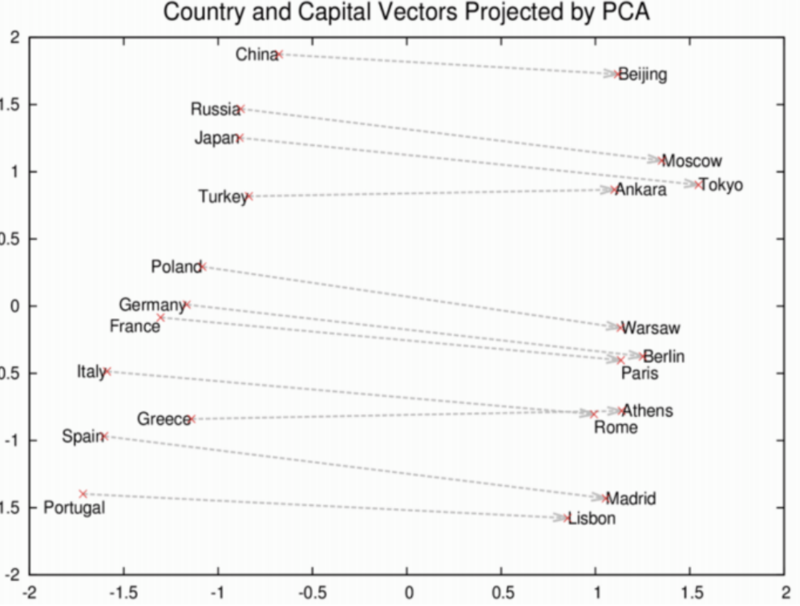 Word2Vec is one of the influential papers in Natural Language Processing. It has nearly 3000 citations. Word2Vec improves on Prof Yoshua Bengio’s earlier work on Neural Language Models. Word2Vec was created by google, with main author being Tomas Mikolov. You can read the original paper here. Word2vec is an answer to all the disadvantages listed in the previous section. It is intelligent, learns context of the text. Understands sentences, and not just individual words. 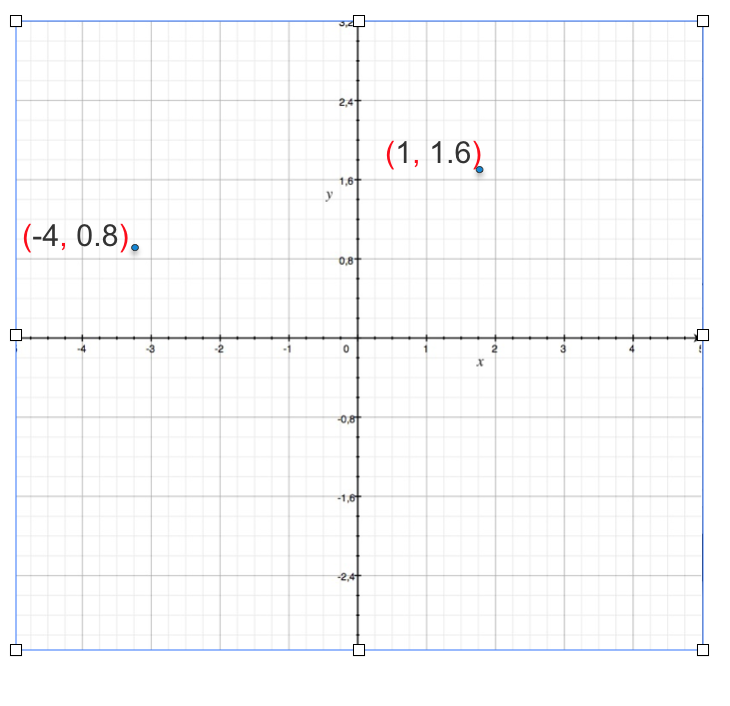 (3) is a one dimensional vector. (2,8) is a two dimensional vector. (12,6,7,4) is a four dimensional vector. We can only 3 dimensions, anything more than that you can just say it not visualize. For a input text it looks at each word and the context of words around it. It trains on the text, and recognizes the order of each word, and the structure of the sentences. At the end of training each word is represented by a vector of N (mostly in 100 to 300 range) dimension. Lets assume that it outputs 2 dimension vectors for each words, since we can’t visualize anything more than 3 dimension. You can see in the image that Word2vec algorithm inferred from the input text. SanFrancisco and LosAngeles are grouped together. Beautiful and lovely are grouped together. City and metropolis are grouped together. Beauty about this is, Word2vec deduced this purely from data, without being explicitly taught english or geography. Word2vec algorithm is really good in discovering analogies on data. In the below plot from relative position analogies can be observed. Find the end-point of this line. Math for Analogies is beautiful, it can be expressed in simple vector arithmetic. 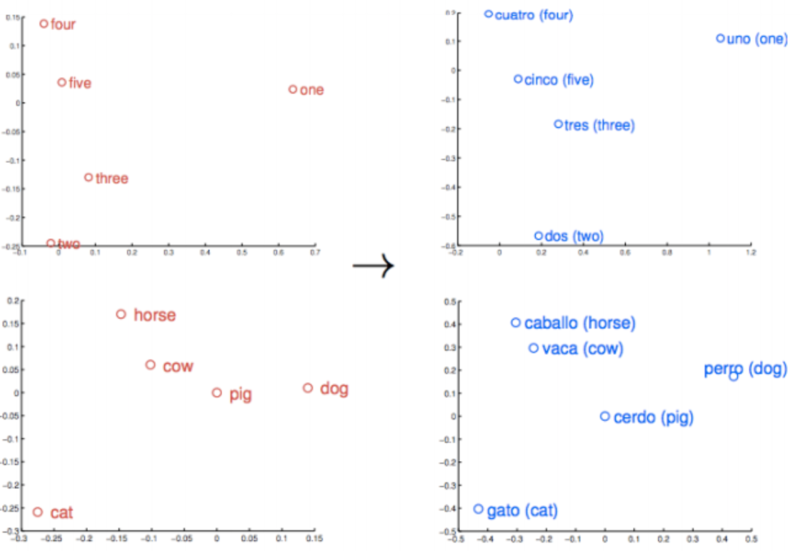 In complicated use-cases models can understand translations from one language to another. Thanks to Arthur Chan for suggesting changes to the blog.